Once you have taken the plunge and purchased a new home in Turkey, you will no doubt at some time or another require some assistance with your home, perhaps you have purchased a newly built property that requires furnishing, or resale property that needs a little work, or maybe a renovation project that requires tradesmen. Here at Turkey Homes we have dedicated after-sales teams in many areas of Turkey, who are just a phone call or email away, on hand to assist you with any repairs, no matter how big or small the job, our team will organise professional reliable workers to carry out any repairs as soon as possible whether it be an emergency job or something very minor, and as we use a selection of desirable companies on a regular basis we are able to negotiate good deals for our clients. Our team can also help with furnishing your new Turkish property, by taking you to reputable furniture stores where again we can negotiate great discounts for our valuable clients. In today’s changing climate, many overseas buyers are purchasing their ideal holiday homes not only for their own annual holidays, as every penny counts some home buyers are earning a rental income too, by renting out their properties, as they are not able to stay in the property on a full time basis, due to family, health or work commitments. Turkey Homes after-sales teams can also help in this area too, we can supply an excellent team for your property maintenance who will take care of the gardens and pool every day, provide a cleaning service, meet and greet service, airport transfers for guests etc. Our property management service doesn’t stop there we can also source you guests by advertising your rental property on various websites and all you have to do is sit back, relax and watch your next egg grow. 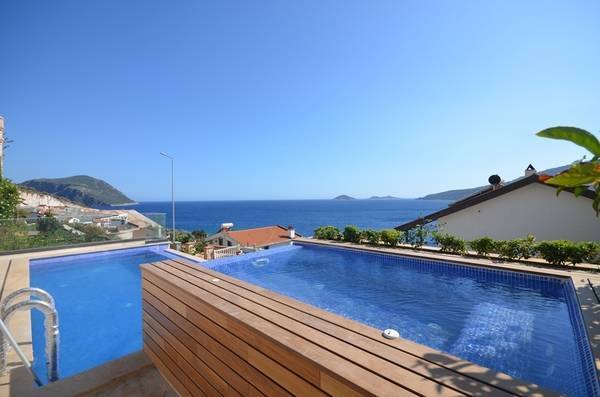 Investment property has taken off in a huge way in Turkey over recent years, with properties in the exclusive area of Kalkan often exceeding rental yields of 9-10% per annum, for example this stunning luxury Kalkan villa can achieve a weekly rental income of approximately GBP 2,000 per week over a minimum 18 week rental period. The Fethiye area is following close behind with our partner developers now are even offering guaranteed rentals to property investors with yields up to 8-9%, just one reason why the property investment market is booming. Generally speaking most established rental management companies charge between 15-20% for their services which we think for the depth of service they provide is rather reasonable. You will receive peace of mind that your property is being taken care of, earning you a healthy return on your investment, and you can still enjoy your property in Turkey year after year at your convenience. All our related articles are below.